Fundamentally, to define what a shot can or can’t do is limiting and limited. Certain kinds of shot are, ultimately, simple designations made for innovations of form. We’d never have a Dutch angle if everyone had followed the remit of keeping the camera straight. But nonetheless, knowing the capability of a certain kind of shot is necessary to make best use of the cinematic grammar at your disposal. And more, in knowing what a shot can do, pushing it to what it supposedly cannot is the fastest route to subversive innovation – two of my very favourite things. Click through to watch the example video. The sequence shot, otherwise known as the oner or the long take, is often considered like something of a cinematic boast. To keep the camera running so long without error or failure requires an immense amount of technical skill and ability. The longer and more intricate the shot, the more impressive a filmmaker behind the shot. That’s the general idea, at least. But while long takes have been commodified to such effect, they communicate (or can communicate) more than technical bravura. To illustrate this point, I will split the usage of sequence shots into three arbitrary subsections. Technical prowess will be, in this instance, excepted. Sequence shots are most effective in their most basic requirement: that they maintain the cinematic space both temporally and physically. Time is stuck to a second-per-second (unless certain effects are applied), and the audience is trapped wherever the camera happens to be. This results in a tactile sense of embodiment: that of the observer, someone who is viewing events as they unfold, as opposed to seeing a version of events edited together. There is an inherent, inescapable intimacy to this mode; time and space become secure in an artform that so often twists them to its own design. Film that take advantage of this fact are plentiful. Son of Saul exploits long takes, all shot within close proximity of its titular protagonist, to develop a pervasive sense of unease. That the narrative will remain with Saul throughout is wracking enough – that the camera will continue rolling no matter what horrors occupy the edges of its frame multiplies this dread emphatically. A pivotal scene follows Saul through a chaos enrapturing the concentration camp in which he is interned. He is searching for a Rabbi. The camera stays close to the back of Saul’s head, while the sounds of screaming; men barking in German; gunshots fill the soundtrack. The camera continues to follow Saul, and we too are subjected to a continuous sensory attack. A simmering scene, but not one that is visually explicit: it is through sound, proximity, and the extended take that its tension is born. 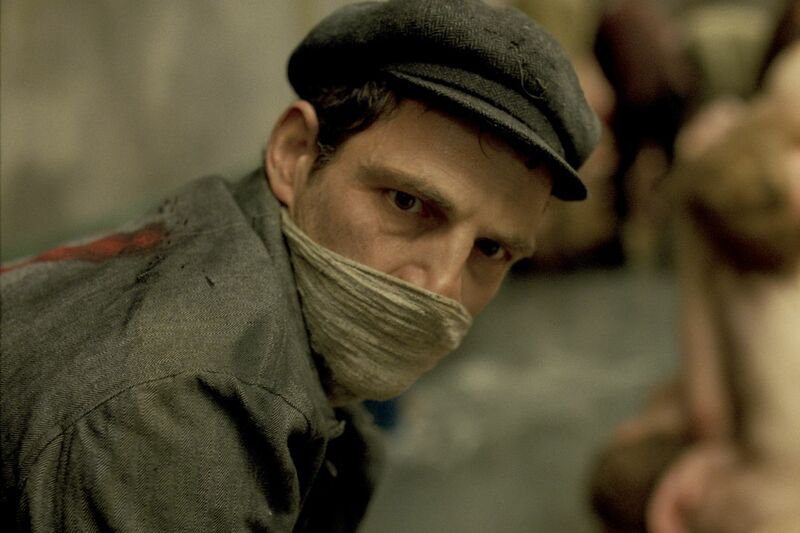 More extreme than the long takes of Son of Saul are those of that much-lauded sub-genre: single-take features. These are rare, and exist in two distinct sub-genres of their own. First of these are the ‘fake’ single-takers, which are in fact a series of takes masked so as to appear as one. Hitchcock’s Rope is commonly cited as the first of these (though it does contain some unmasked cuts). More recent is Birdman, which exploits digital cinematography to create a truly seamless, but absolutely unreal, single-shot feature. More relevant to this section are the ‘genuine’ single-take features, such as Victoria. This film, shot in the mutable period between late night and early morning, follows a woman on an escalating and unsettling night out in Berlin. Knowing that the camera will never cut becomes this film’s primary formal device. A shot in which Victoria finds herself in a lift with several strangers might be unnerving usually, but knowing that there will be no visual escape from whatever does or doesn’t happen – no merciful cutaway – renders the scene that much more effective. It is worth noting, however, that the single-take feature has substantial misgivings as a genre. Mistakes that might otherwise demand a reshoot are in genuine single-take films ignored, and the result can be a culmination of small errors that substantially weaken the film as a whole. Who wants to retake the whole thing after a dropped line 80 minutes in? Beyond maintaining temporal and physical continuity, sequence shots also stand (or can stand) opposed to one of cinema’s defining attributes: the edit. For as long as cinema theory has existed, the exact nature of editing has been challenged and shaped. Most influential are the proponents of Soviet Montage. Chief among them is Eisenstein, a Russian master who codified many of his theories in writing across his career. To him, editing was all-important. The singular content of any particular shot is subsumed by its relative importance with regard to what shot is placed before and after it. A shot of a capitalist fatcat intimates various conclusions, but is itself a simple image. A shot of a noose might also suggest certain themes or ideas, but again, is simple. The same can be said of a shot of Soviet peasants smiling and happy. However, cut these shots in sequence and simple ideas unify into a new, separate, and complex implication. It is through intellectual and conceptual juxtaposition that meaning in cinema is provided. But not every director was fond of this particular way of doing things, in rejecting meaning within sole or continuous images. One such man was Tarkovsky, who opposed Eisenstein’s ‘montage of attractions’ with his own theory of ‘time pressure’. Indeed, he described his cinema as ‘sculpting in time’, finding cinematic beauty within the internal rhythm of shots more than their position in a larger scheme. This difference is partially accounted for by different approaches – Eisenstein was a self-professed ideological filmmaker, whereas Tarkovsky was a visual poet. The first preferred to deliver an idea or position with gusto – the ‘cine-fist’, the other would rather his audience interpret his art individually. Tarkovsky did not sculpt his time in the name of tension, as above, but so as to create a series of conjoined, rhythmic images that flow like a sentence or melody. In his masterpiece, Mirror, Tarkovsky’s camera glides and peers around a remembered house, children darting about, a commotion of sorts. The scene climaxes with the image of a burning house, framed above by water dripping from a wooden rim. The fire climbs, the water falls. Tarkovsky does not find juxtaposition against his images, but within them. Unlike the simple imagery of Eisenstein, he uses sequence shots to craft images that, themselves, carry great interpretive meaning. Theo Angelopoulos was a Greek filmmaker of arthouse acclaim and idiosyncratic individuality. His films are almost always shot exclusively with wide lenses, and his approach does not value the individual psychologies of his characters. Instead, he deals with mythologies and histories, considering the Greek people as a group rather than a series of individuals. His actors fulfil archetypes on occasion, but just as often blend into an anonymous blur. More important than what he does with his actors, however, is what he does with his camera. 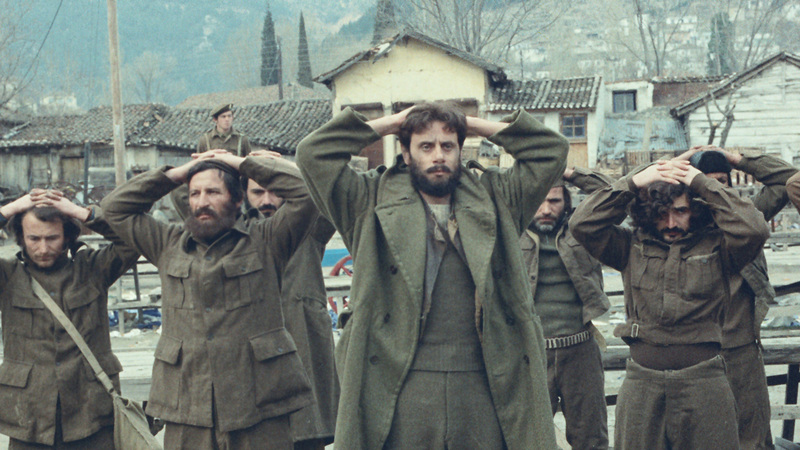 Angelopoulos was a great proponent of the sequence shot, often matched with extensive camera movements. Less the gliding eye of Tarkovsky, more the all-encompassing pan. In his gargantuan The Travelling Players, one such shot calls attention to itself. It begins in 1946, tracking a coterie of drunken monarchists singing patriotic songs and celebrating the new year. The camera tracks these men as they walk down the road for a few minutes, until a loudspeaker announces election of the fascist Marshal Papagos. This election took place in 1952. The men rush to congratulate their new leader in a suddenly apparent rally. There was no visual effect here, no title card, no indication of time travel or changing state. The shot is seamless, impossible. The sanctity of time so treasured by Tarkovsky is here thrown aside, in effect married to the juxtaposed shots of Eisenstein. Only instead of cutting from 1946 to 1952, thus implying their implicit thematic/political connexion, Angelopoulos pans there. The change is so low key as to be almost imperceptible, but therein is the magic of his cinema. Angelopoulos breaks every rule of the cinematic space and in doing so delivers his point with a forceful elegance. A strange combination of terms, yet suiting. Filmmaker, critic, and erstwhile pilgrim, Milo is interested in Dutch angles, silent movies, and the secrets of the Holy Ghost. He is currently developing a comedic retelling of Faulkner’s As I Lay Dying (funds pending).